“If you don’t want to be a mainstream tourist in New Zealand, this article will certainly provide you with some non-cliche places to visit in my home country”, says local kiwi, Nicholas Guthrie. New Zealand is a small country at the bottom of the South Pacific with beautiful landscapes and a reputation for having amazing tourism. 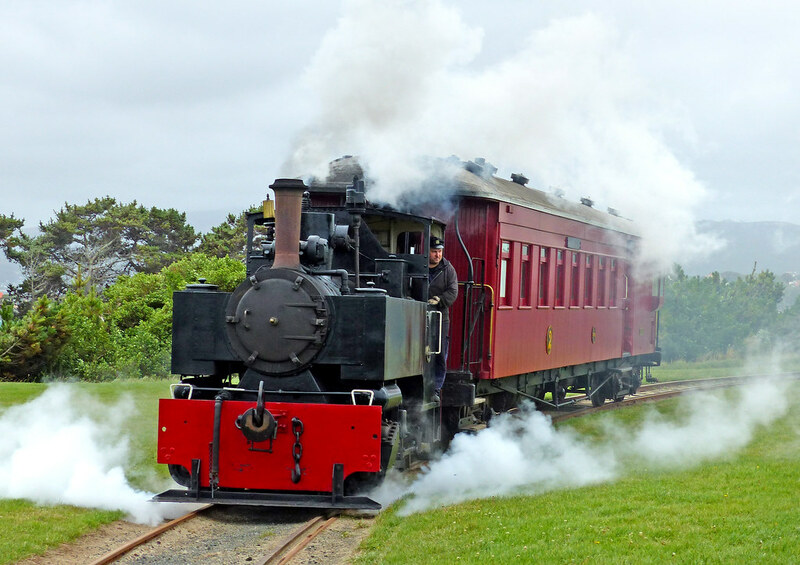 Tourism is a big deal in the small antipodean nation, so most tourists are given experiences that are on rails. They go to the same typical spots looking to sample some of the countries. In this article, I am looking at a different list of places than the usual tourist spots. New Zealand is definitely not a cheap country to visit but there are certainly ways to plan your trip around a small budget. Click here to read more on how you can plan your dream vacation with a tight budget. One hour north of Christchurch is the beautiful region of Waipara. The rugged yellow north Canterbury hills cradle quaint towns that are connected by the historic Weka Pass railway. Waipara is one of the corners of the Alpine Pacific Triangle Scenic area and leads further inland to the hot spring town of Hamner Springs and the Lewis Pass which winds through the southern Alps. In addition to the history of the region, it is also one of the highest producers of wine in the country. Its Pino Noirs and Rieslings consistently win wine awards across the globe. The wineries there are hospitable and offer fantastic entertainment. Delicious food in Pegasus Bay Wine and Restaurant. Be sure to check out Pegasus Bay Winery and Restaurant for wine tasting and a few dishes from their award-winning restaurant. You can relax on the lawn and enjoy the beautiful Canterbury countryside. Just be aware that Waipara has some of the highest summer temperatures and lowest rainfall in the country. So be wary to wear sunscreen when you are out under the blistering sun. Once the capital of New Zealand and an economic powerhouse, Dunedin was the settlement of Scottish colonists. It is also New Zealand’s first University town, hosting the countries young minds and doctors. In recent years Dunedin has been hard hit economically making it a hotbed for creative arts and culture. The city blends the old gothic architecture with massive amounts of street art and a thriving gallery scene. Shiver Me Timber! AY! AY! Photo by Nicholas Guthrie. The people of Dunedin are amazing, honest, salt of the earth people. Fun fact! Dunedin’s old town is built using the same plan as the town of Edinburg in Scotland. In fact, Dunedin actually means Edinburg! Visit Otago farmers market to eat some of the locally made delicacies and meet the personalities that sell produce to the good people of Dunedin. In addition to the “human-wildlife”, Otago Peninsula is the home to some amazing animals. Take a short trip around the Otago Peninsula to the Albatross colony to see the bird with the largest wingspan in the world, the Albatross. Or, on the other side of the harbour, go down to Aramoana to see the penguins running out from the San dunes and into the surf. A word of warning, Dunedin can be very cold. How cold is cold? It can drop to 2 celsius even in the day. Winter can be freezing till it drops below negative. Be prepared. By Diego Delso, CC BY-SA 3.0 from Wiki Commons. Wellington is our nation’s capital. It has all of the parliamentary buildings, courts etc.. It is not unknown but it is still a must visit for any travellers to visit. Despite this serious function for the city, Wellington boasts one of the country’s most vibrant creative cultures. It is the home of Weta Workshop (The people who make Lord of the Rings, avatar etc) you can see their workshop in the suburb of Miramar. To meet more creative folk, just walk down Cuba Street and you will be greeted by street performers and art spanning the entire street. Wellington constantly has new and interesting events to attend. And if that’s not your thing, you can go to Te Papa (Our National Museum) for a slice of New Zealand culture and natural history. Wellingtonians are consistently after good food. Its craft beer scene is second to none in the country and there are many places showing off the local cuisine. If you are lucky enough to be around town during the Wellington on a Plate Festival. You will be treated to a smorgasbord of amazing food events. Rotorua is a city in the centre of the north island, based on lake Rotorua it is a culturally significant place for Maori (The native people of New Zealand). The region is rich in history, and Rotorua has some of the best destinations for learning about the Maori culture and how they interacted with European settlers. Most notably you can see the convergence between the two cultures at the Saints Faith Anglican Church on the waterfront where you can see the stained glass window of the Maori Jesus, walking on water. Tourist performance: Māori cultural performer at a tourist show, Tamaki Maori Village, south of Rotorua, New Zealand. Image from Wiki Commons. The wider Rotorua area is a series of lakes and geothermal hotspots. Be sure to stop in at the Polynesian Spa to indulge in natural hot pools and mud baths. Rotorua – until 1963 a bathhouse – today a museum for Maorikultur as well as for Vulkanismus and Thermaltätigkeit in New Zealand. Rotorua is a health resort on the New Zealand North Island. Photo by By W. Bulach (Own work) [CC BY-SA 4.0], via Wikimedia Commons. If you are looking for something more exciting, you can take the gondola up the hill to get a wider view of the area or try out one of the areas epic mountain biking trails. Recently, Rotorua has been host to the Crank Worx mountain biking series, offering some of the countries top downhill mountain biking trails. It’s also almost like a cheaper version of Queenstown in Auckland. At the mouth of the Tauranga Barbour is Mt Maunganui. A classic New Zealand beachside holiday spot. “The Mount” itself is a half hour climb up onto the peak. Revealing an awesome view of the Bay of Plenty coastline. The sand on the beach is golden and warm and surf breaks are abundant. You can rent a nice batch (NZL Holiday home) just off the beach and swim every day to your heart’s content. Surfboards, paddle boards and kayaks are easy to rent and well worth the higher fee to go play in the water. However be sure to swim in a lifeguarded area and comply with the surf lifesavers instructions. You will notice them by the bright yellow shirts they wear and the red hats. No holiday spot in New Zealand would be complete without ice cream. Stop in at a local dairy, similar to 7-11 and ask for a scoop of ice cream. Fully recommend a double scoop of goodie gumdrops and Hokey Pokey. Give it a go, see if you’ll like it. All in all, New Zealand is known for its beautiful scenery and harmless wildlife that will certainly not disappoint visitors. Despite not writing about New Zealand’s ever so famous adrenaline rush sports, it is strongly recommended for you to live a little more exciting while you are there. Do try out bungee jumping, skydiving, white water rafting and most definitely hiking Mount Tongariro located in Taupo Volcanic Zone on the North Island of New Zealand. Travelling To Asia: What To Do When In Kuala Lumpur (KL)?